16 x 20", Oil on Linen, 2014. 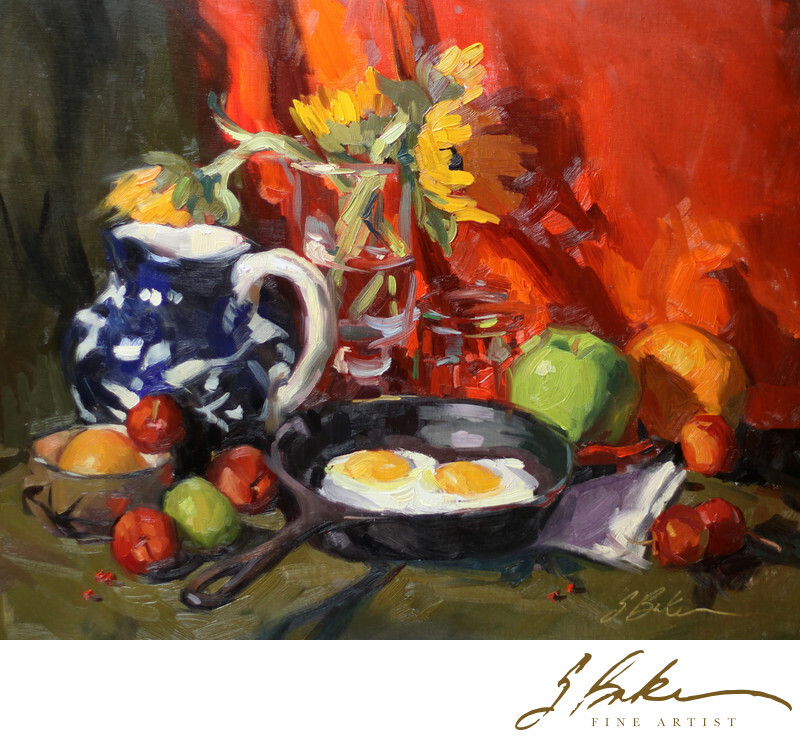 This painting was inspired by Russian master Sergei Bongart (1918-1985) and his painting "Fried Eggs in a Skillet.". If imitation is the highest form of flattery, than I hope Sergei would have been flattered by my own version of eggs in a skillet.